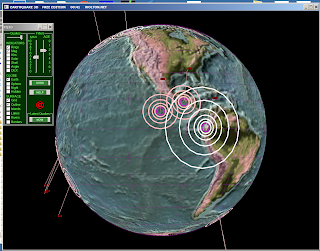 Update, a sizable 6.7 to 6.9 hit Ecuador overnight. 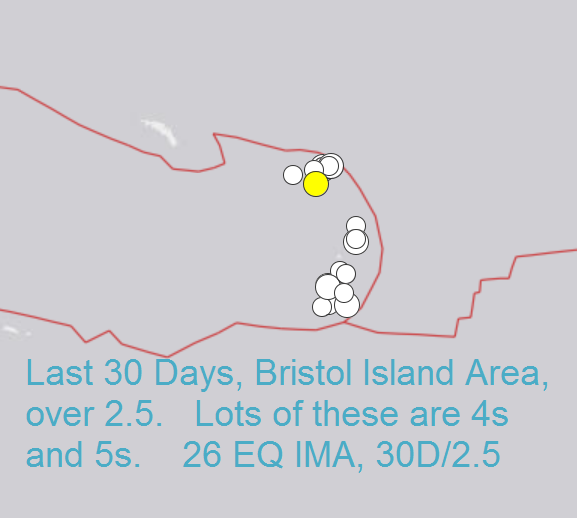 Keep in mind that EQ "bounce" back in forth across the Pacific, its not just a movement phenomenon, there is also momentum involved, on a VERY slow but very grand scale. 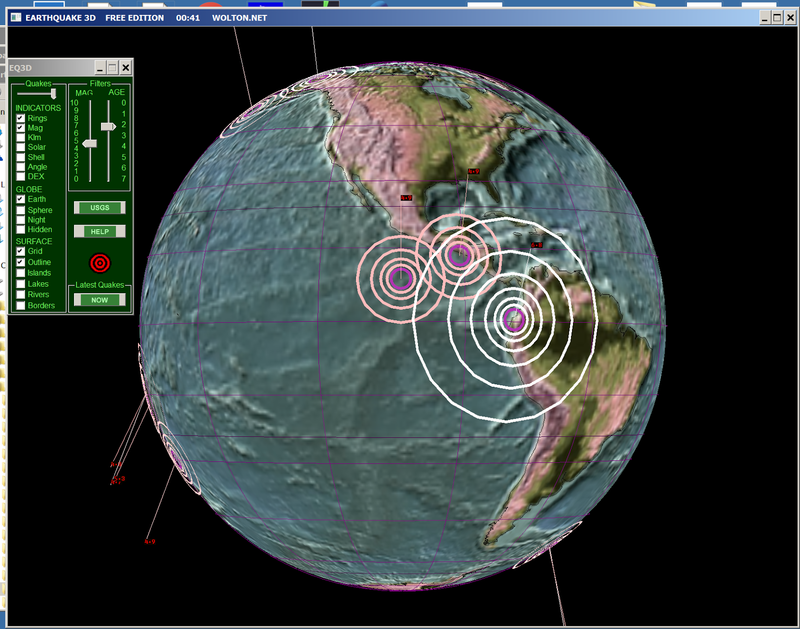 So I am keeping the large EQ forecast open for a while. See below. 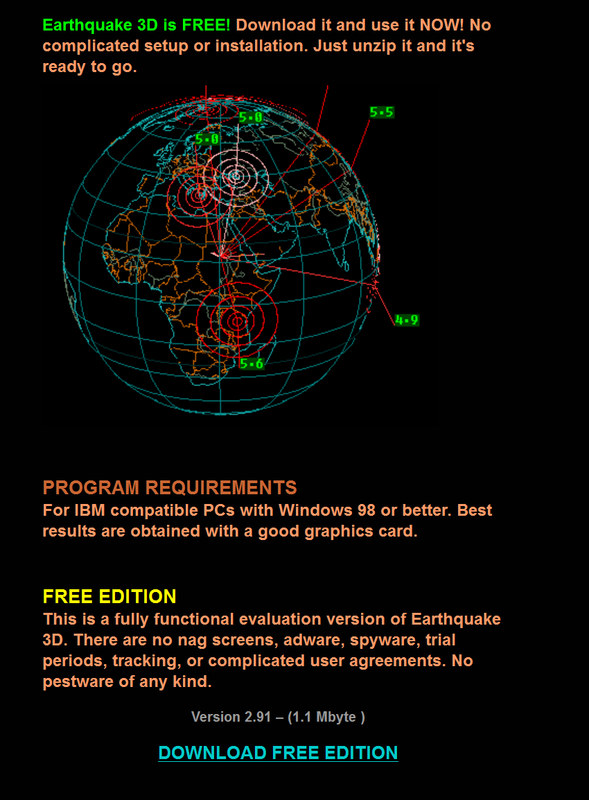 Also trying out Earthquake 3D, the free version. The upgraded version is only $20 and a likely purchase. Here is what it looks like. 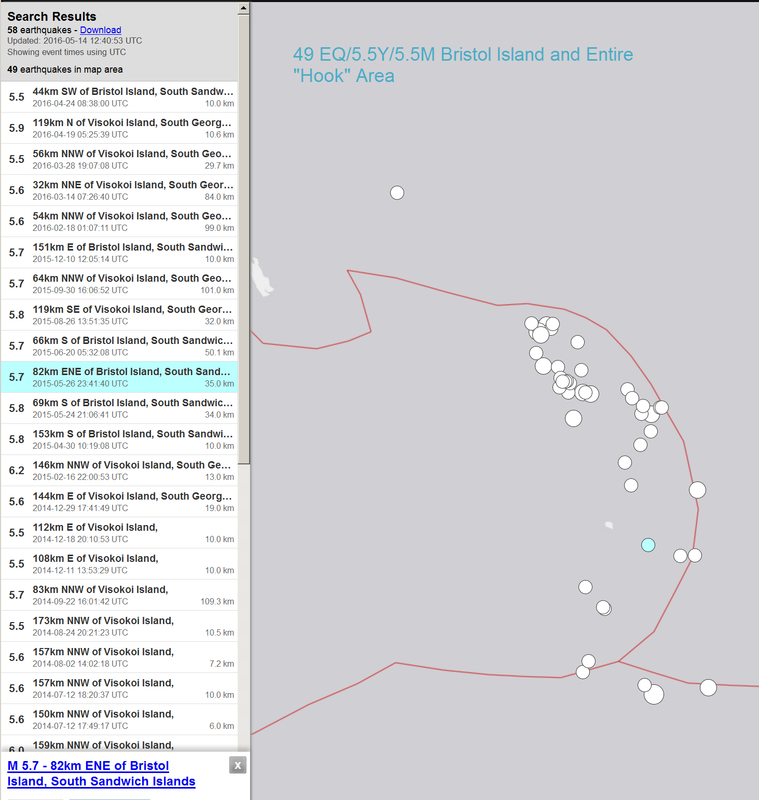 Bristol Island and the Atlantic Ridge are fairly unusual places for large earthquakes. 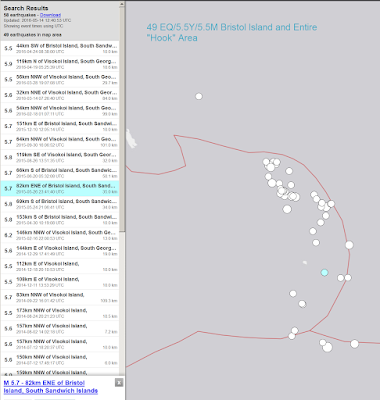 The whole North AND South American plates have slide over to the east. 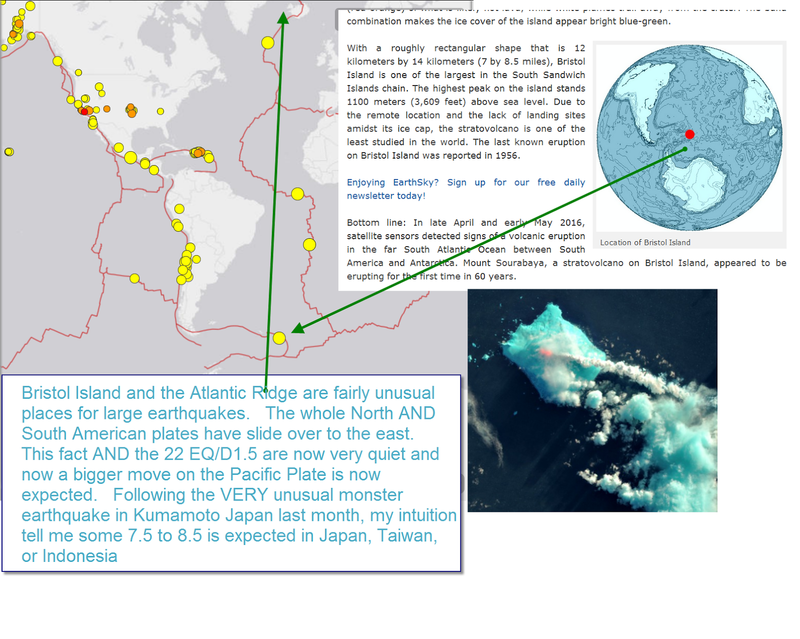 This fact AND the 22 EQ/D1.5 are now very quiet and now a bigger move on the Pacific Plate is now expected. EQ prediction is not necessarily correlated to nuclear power plant risk. Look for the second punch, the 60 ft wall of water that wipes out 20k. Also, Fukushima lessons learned show very little current vulnerability given mostly PWRs not BWRs near large bodies of water. 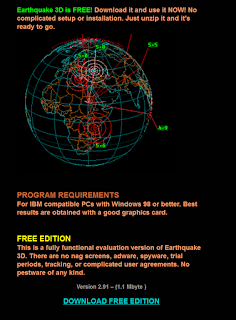 Plants are designed to ground acceleration not Richter Scale. A 7.0 with a 0.5g acceleration is nothing to write home about. Nice, I wish they provided access to all their generated charts, sheesh, how basic is that? They probably want to sell those even though they got data from gov satellites and got funding from gov sources.